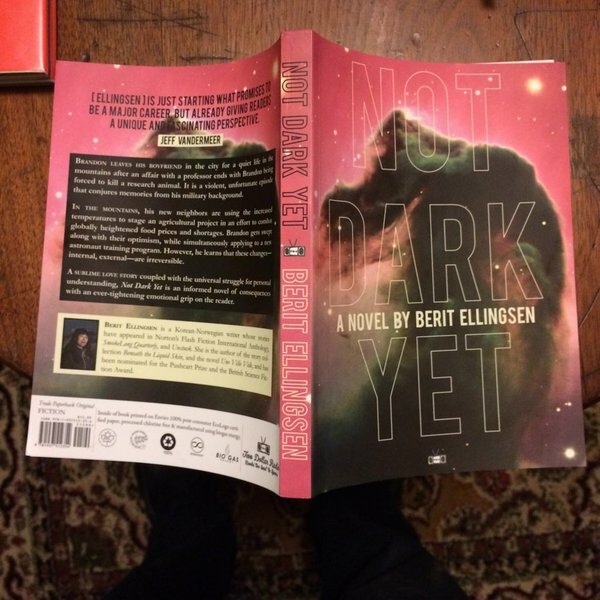 Not Dark Yet is part of a survey of climate fiction literature, along with books by Ian McEwan, Kim Stanley Robinson, TC Boyle, Bruce Sterling, Barbara Kingsolver, and many others. If you have read Not Dark Yet, please consider taking the survey to give the researchers at Yale-NUS College something more to work with. Image by Jeremy P. Bushnell.